ADULT KEY Author: Potter, M. A. Identification key to the genera of adult mosquitoes in the CENTCOM Western Palearctic Region, adapted from Harbach and Sandlant. LARVA KEY Author: Gaffigan, T. V. Identification key to the genera of larvae in the CENTCOM Western Palearctic Region, adapted from Harbach and Sandlant. 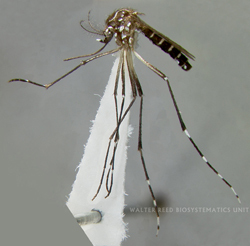 ADULT KEY Author: Huang, Y. M. Adult identification key to the genus Aedes in the CENTCOM Western Palearctic Region, with emphasis on medically important mosquitoes. LARVA KEY Author: Huang, Y. M. Larval identification key to the genus Aedes in the CENTCOM Western Palearctic Region, with emphasis on medically important mosquitoes. ADULT KEY Author: Potter, M. A. Adult female identification key to the species of Anopheles mosquitoes in the CENTCOM regions of SW Asia and Egypt, adapted from Glick, with emphasis on medically important species. 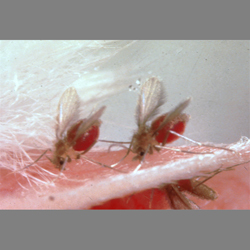 ADULT KEY Author: Wilkerson, R. C. Adult female identification key to the subgenera and species of Culex mosquitoes in the CENTCOM Western Palearctic Region, with emphasis on medically important mosquitoes. LARVA KEY Author: Wilkerson, R. C. Larval identification key to the subgenera and species of Culex mosquitoes in the CENTCOM Western Palearctic Region, with emphasis on medically important mosquitoes. 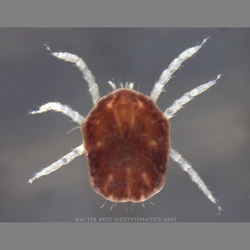 ADULT KEY Author: Rueda, L. M. Key to identification of male adult species of subgenus Larroussius of Phlebotomus, Southwest & Central Asia (CENTCOM), with emphasis on medically important species. ADULT KEY Author: Rueda, L. M. Key to identification of male adult species of subgenus Paraphlebotomus of Phlebotomus, Southwest & Central Asia (CENTCOM), with emphasis on medically important species. ADULT KEY Author: Rueda, L. M. Key to identification of male adult species of subgenus Phlebotomus of Phlebotomus, Southwest & Central Asia (CENTCOM), with emphasis on medically important species.